Technically it is on Sunday, April 4th (aka Easter Sunday.. overshadowed by a holiday.. blast!) But no big deal, I am still super pumped!! This evening, during supper, my sister was like 'want to open your gift from me?' - My family has never been one to wait to give gifts to each other.. I was SUPER SUPER SUPER EXCITED when I removed the tissue paper and there in front of me was.. I know, it isn't nail polish, which would have been amazing as well, but no.. It is something that I have wanted for such a long time!! I have my ipod 30G classic.. But I really wanted an ipod touch.. oh gosh, she is so pretty!! I am doing this now before I have to go setup and play with this gem!! OH! 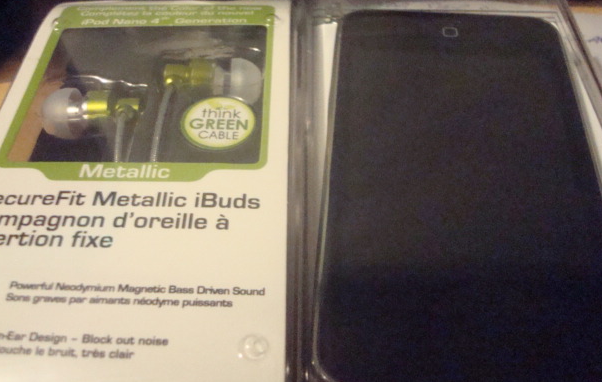 And metallic green comfort fit ibuds! woo! 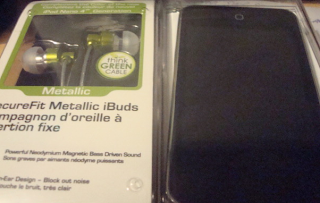 The buds they send with the ipod products hurt my tragus piercing.. Anyways!! 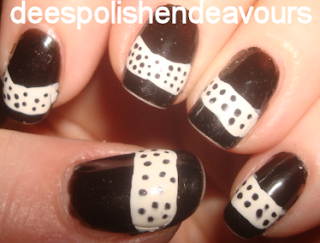 These were my nails from a couple of days ago.. Just something easy to get through my managing shifts. This was after three days of work.. Including dishes and laundry and all that fun stuff. And now my Easter nails! I was excited to find this tutorial on youtube (BeenaBop I do believe!!) 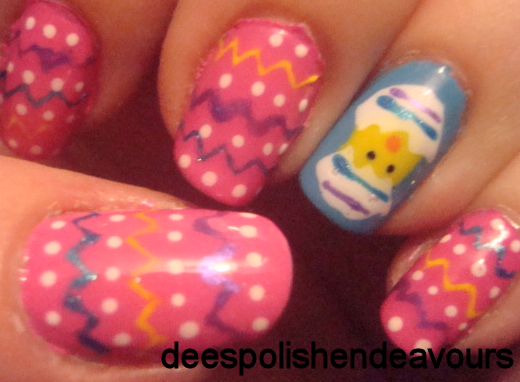 I knew I was going to do 'Easter eggs', but one of the residents requested chicks on my nails, I said we would see.. And then I saw this and it was perfect! The application, not so much.. I rushed it to game for a bit - what a nerd!! Anways, I hope everyone has a terrific Thursday and have a Happy (Hoppy!!) Easter!! I am going to chow down on some delicious mini eggs (that will now be available all year.. I am going to have to improve on my exercise program!!) and get my new baby working!! Woo!! I will answer all comments on my next entry, promise!! happy early birthday! love the easter eggs, and the little chick is so cute! And I love both of your manicures!